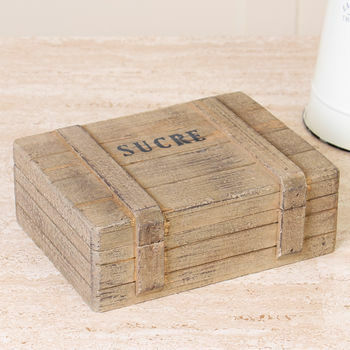 This delightful wooden crate is an unusual, rustic style companion to any decor - with a stenciled 'sucre' design to the lid. 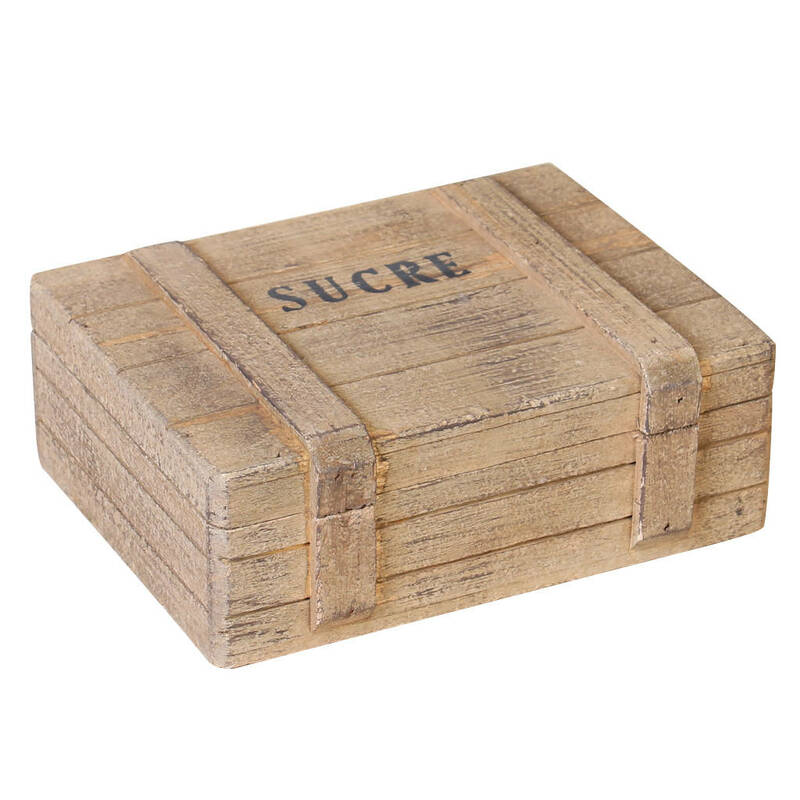 Suitable for storing a wide variety of items, this box is a perfect alternative to a traditional sugar dish or jar. 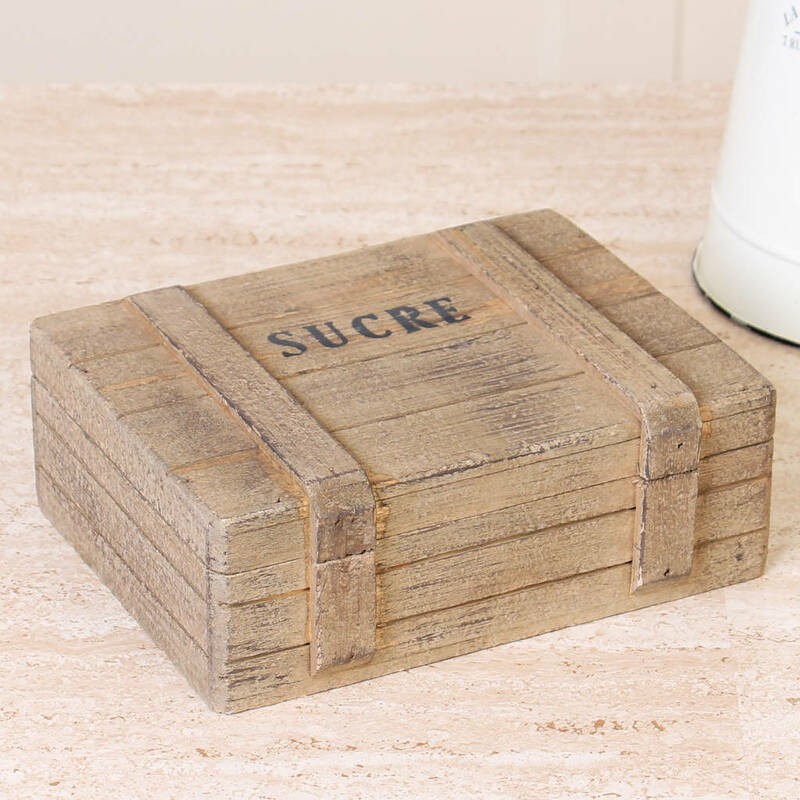 This charming box is a fantastic gift idea for anybody who enjoys a good cup of tea and has a traditional, rustic sense of style. 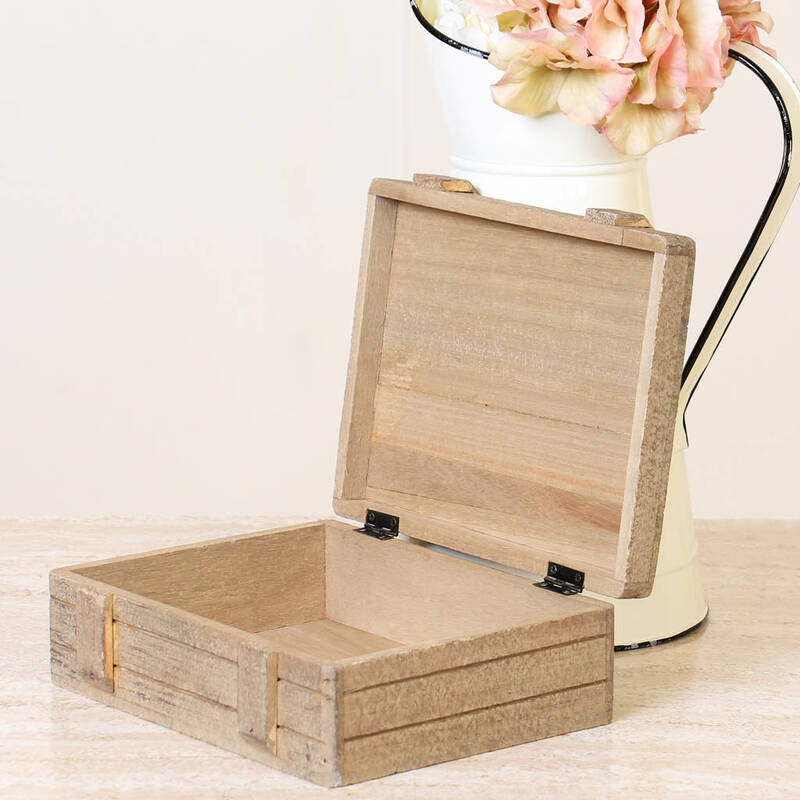 It makes an ideal tea caddy, or a perfect touch of unusual style for your afternoon tea or elevenses, too! 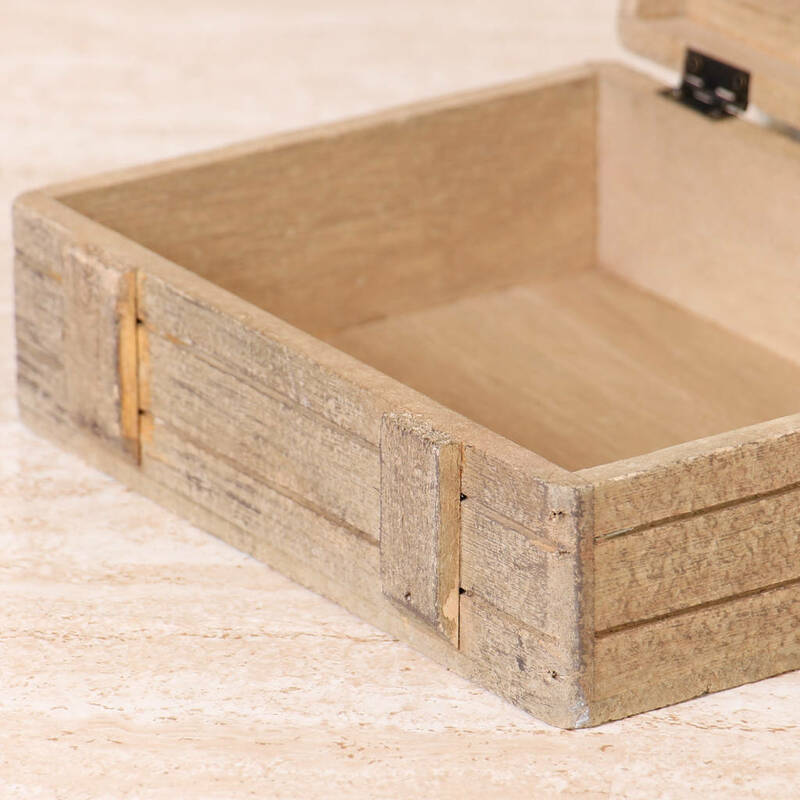 RECYCLED GIFT BOX – Exclusive to Dibor – Give your gift a finishing touch that’s kind to the planet with our natural cardboard presentation box that’s included with your order. 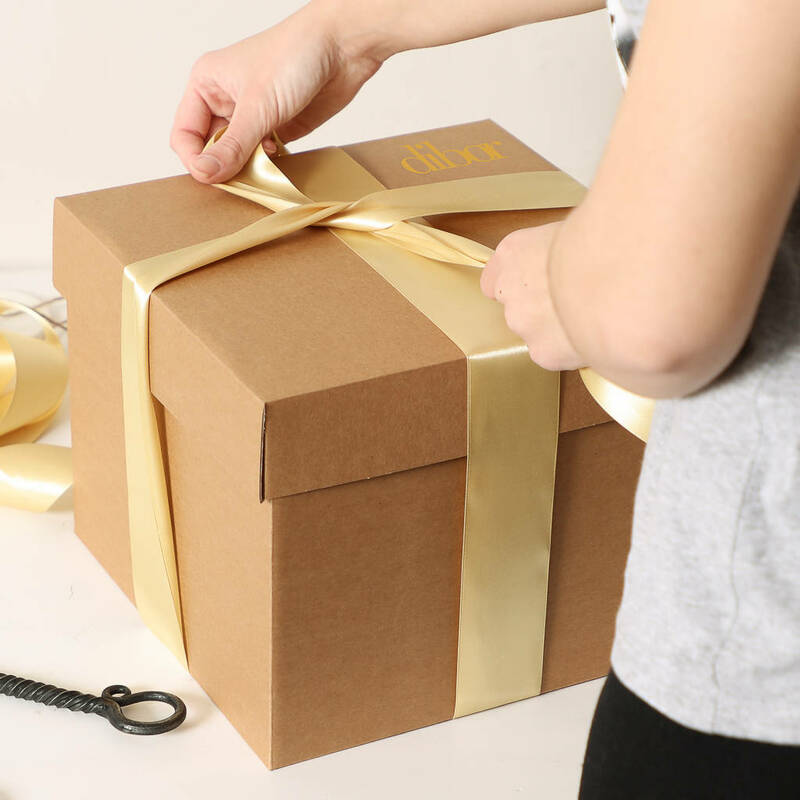 An eco-friendly alternative to gift wrap, this reusable box comes with gold ribbon trim and the Dibor logo on the lid. Great for anyone who loves crafts, why not add your own decoration for a unique, personal look? At Dibor, we believe in using only the finest materials, finishes and techniques. 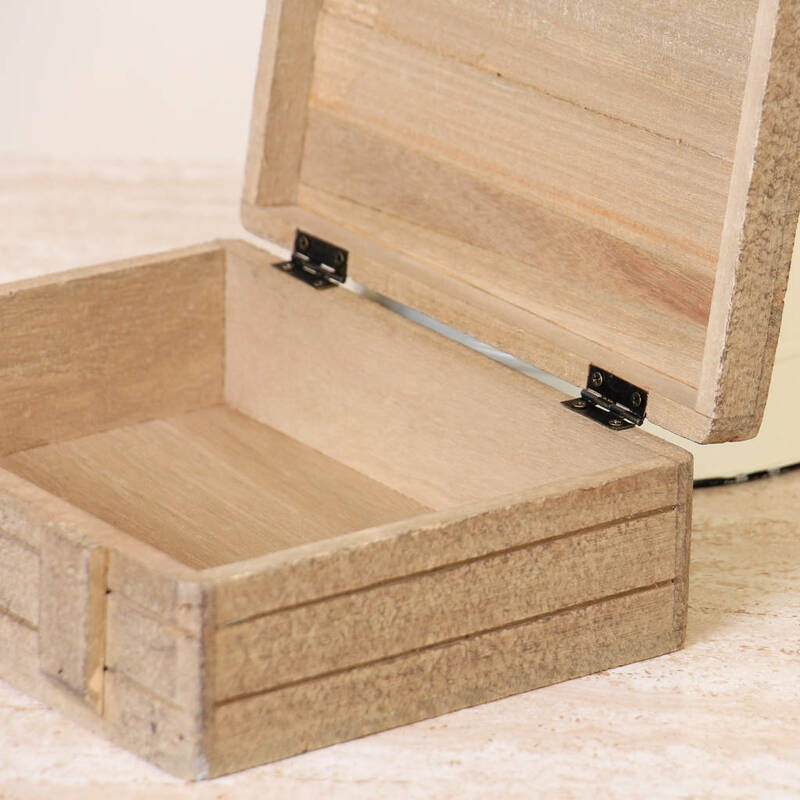 Made from responsibly sourced wood for a rustic result.